A Fresh Look, A New Direction | What The Sooke? Thanks so much for visiting my blog. I hope that I’ve gone the right way here in moving from WordPress.com to my own self-hosted WordPress installation. I have ideas and things I want to do with this blog that go beyond what WordPress.com could do for me, including the new theme and layout. Inspired by other hyper-local bloggers like Miss 604, 642Blog.ca is going to focus on local Sooke content. Events, community info, history, people, and real estate will be topics covered. Have an event? let me know. Ideas for articles? Ditto. I highly recommend you subscribe to the feed from this blog for free updates. I blog daily, and you won’t want to miss it. In the sidebar you can find instructions and information about subscribing. I want this to be a community effort and a forum for discussion of local issues. I encourage you to comment (anonymously, even) on any post, good or bad. Just look for the comments box or link. 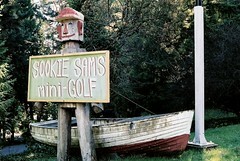 And for those not in the know, the 642 in 642Blog comes from our phone numbers in Sooke, which mostly start with 642. Yes. We’re all up in the 642, y’all. I’m not sure if you’d be able to make it over here but we’re having WordCamp Fraser Valley on July 16th, it might be something you’d be interested in since you just made the leap from .com to self-hosted WordPress. At any rate, the site is looking great! Thanks for the comment, Rebecca!